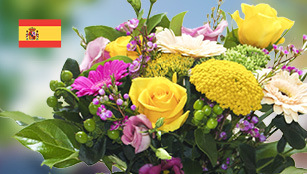 Same day flower delivery in Spain by local florists. 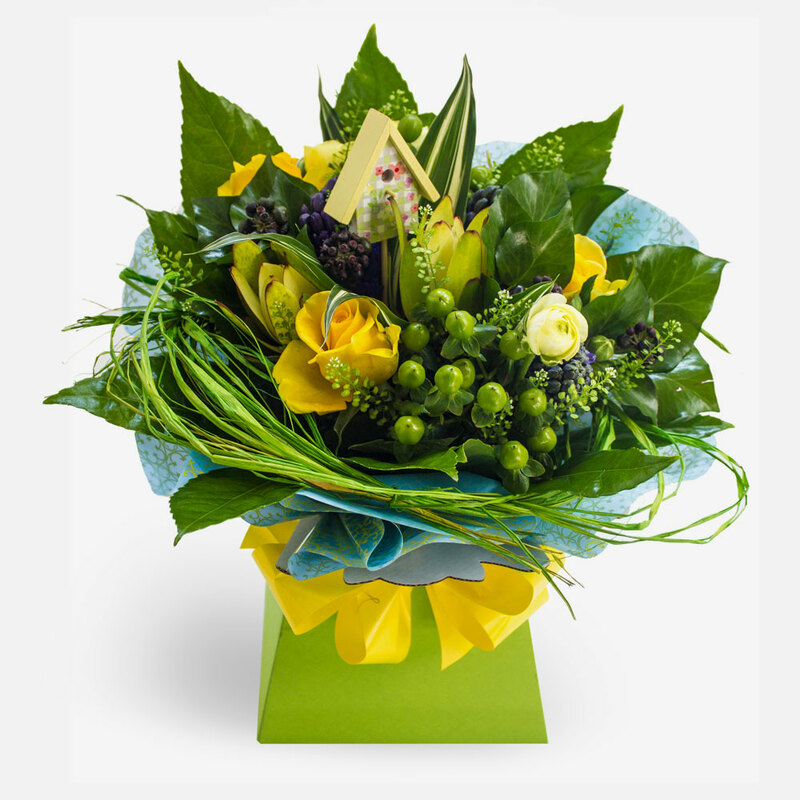 Have a happy and enjoyable daymade brighter with this Sunny bouquet made using yellows, greens, limes. Delivered as a handtie. 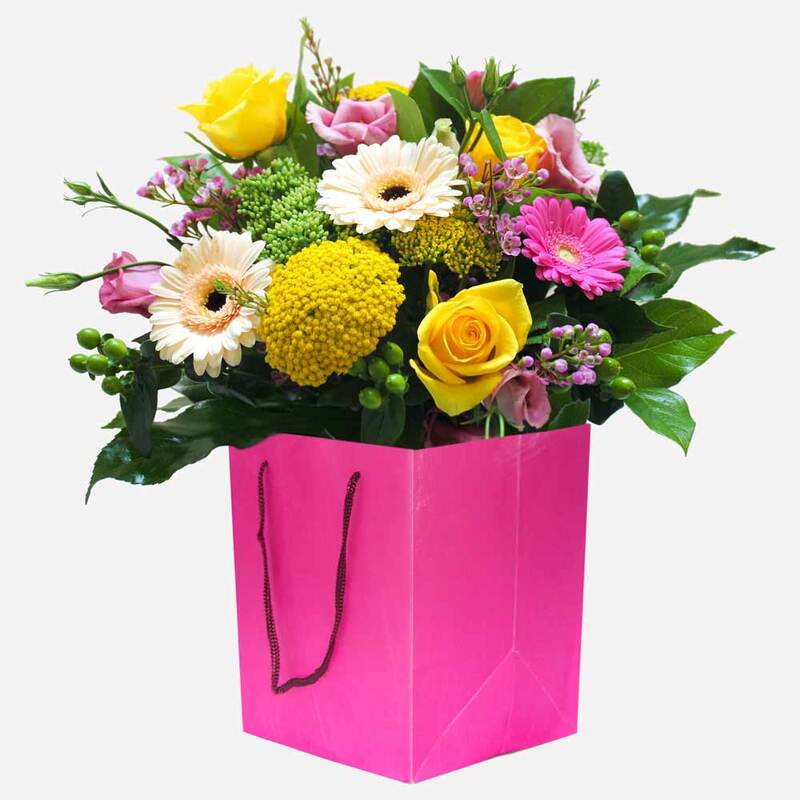 Ordering flowers with Direct2Florist is easier than ever before. 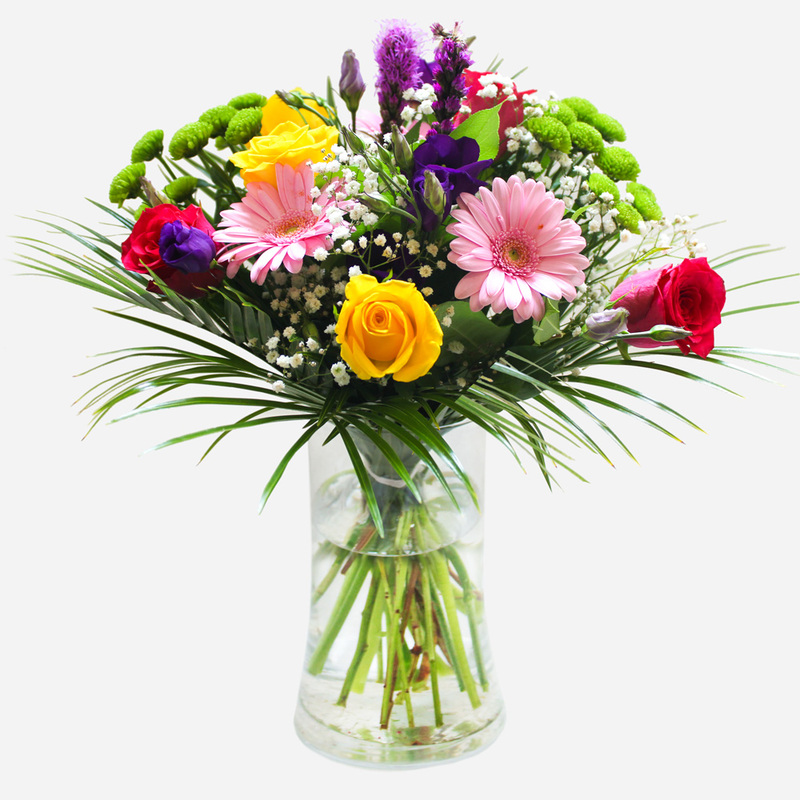 Select a florist, choose your flowers and process your order…and you’re done all within a few clicks! 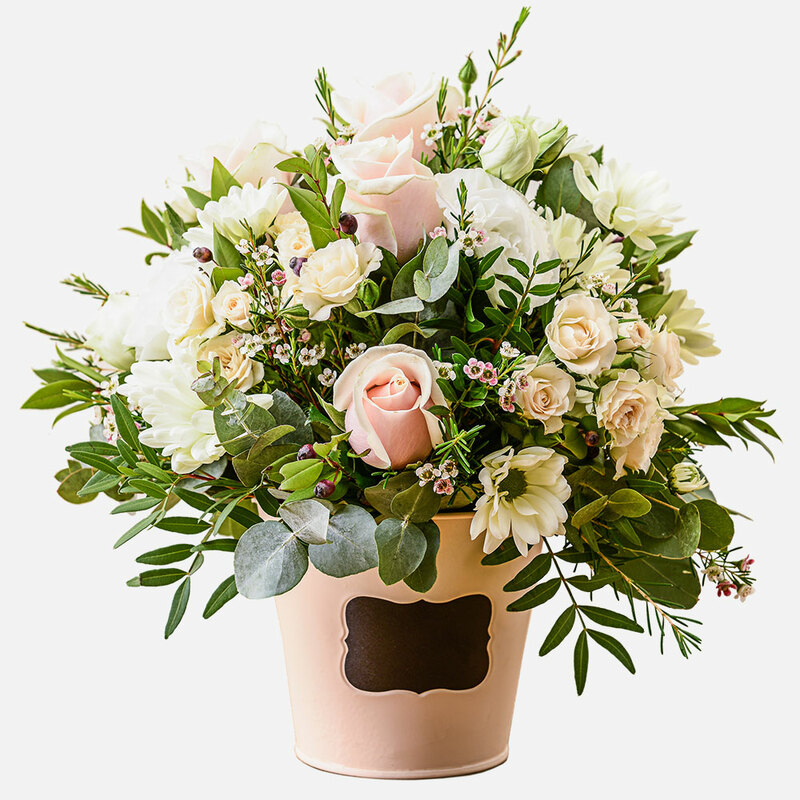 This page makes online flower ordering even simpler. 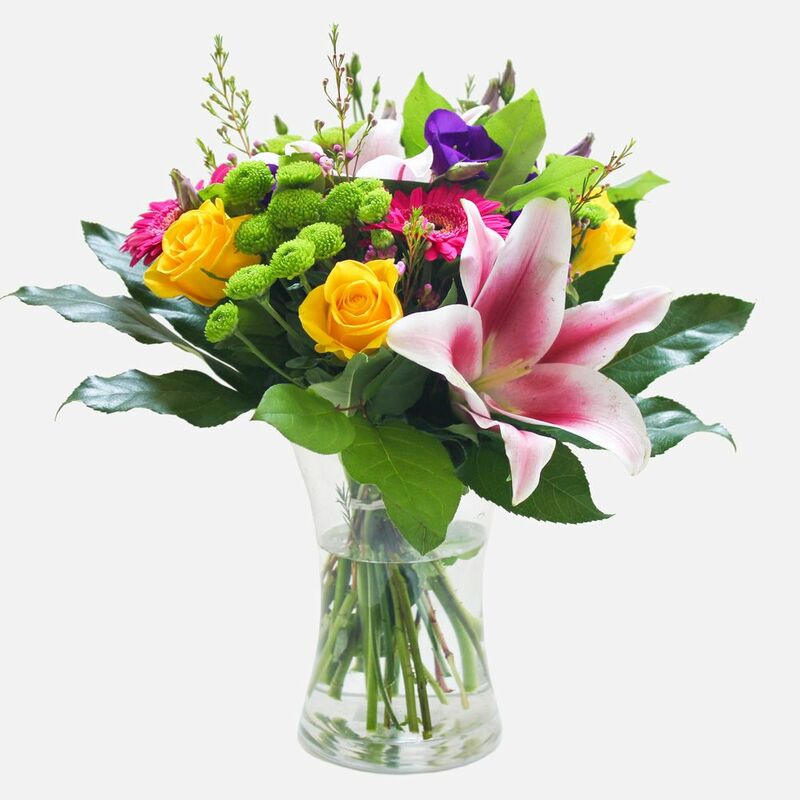 Just select the flowers that you’d like send and Direct2Florist with select the most suitable florist to deliver your order. 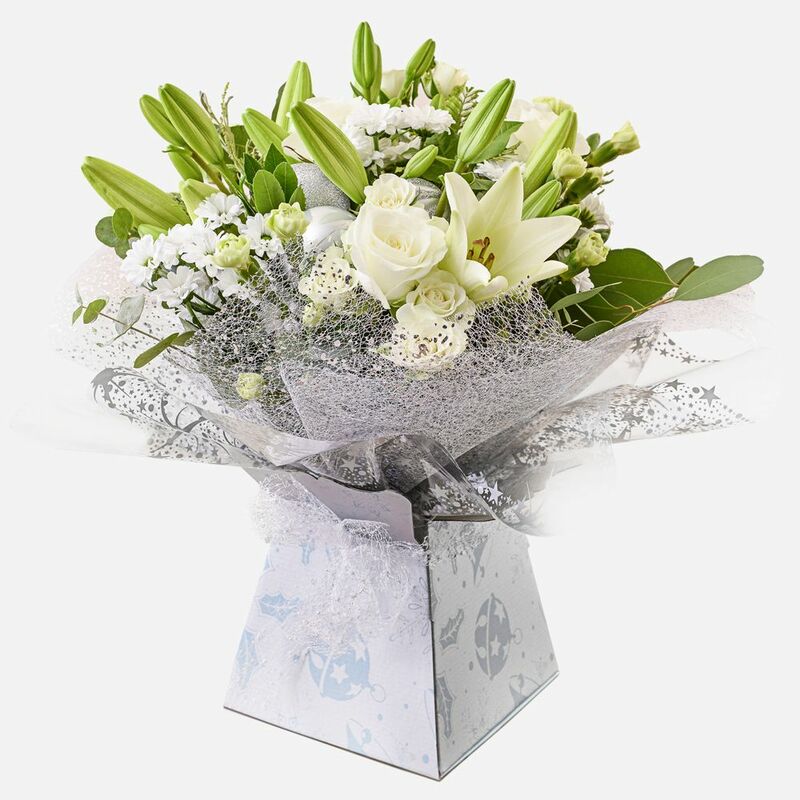 Whether you’re sending for a birthday, realised it’s your wedding anniversary or you want to say congratulations for the arrival of a new baby, work promotion or passing of exams, sending flowers complete with a personalised message card is the perfect solution. 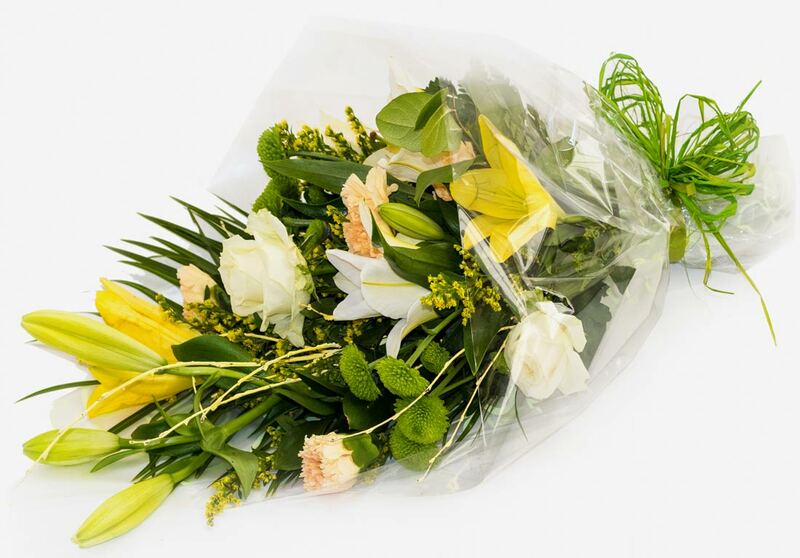 Our same day flower delivery service in Spain makes it easy for you to send your best wishes at a moment’s notice. 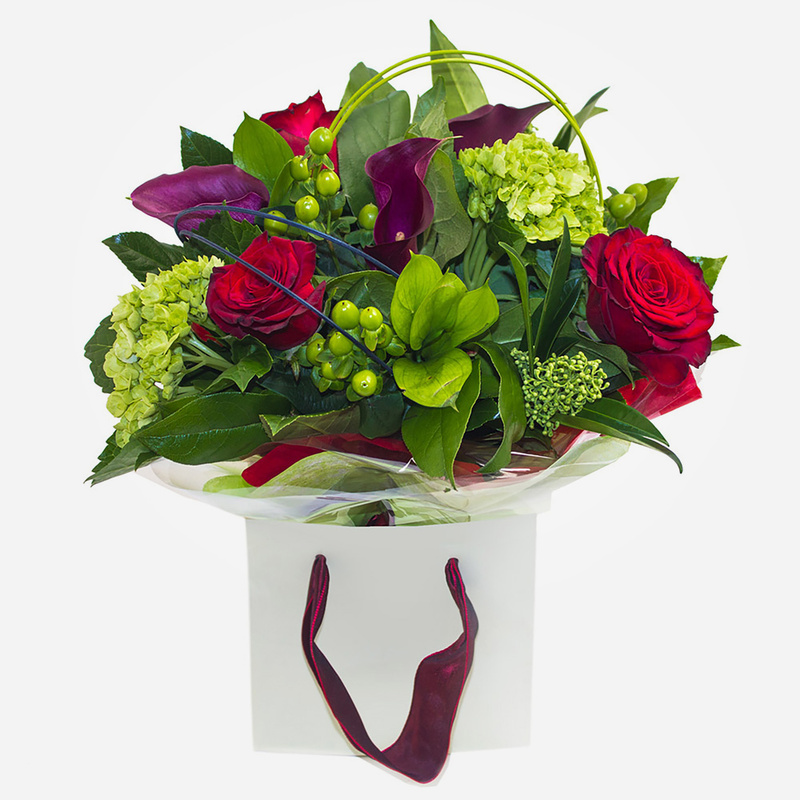 What’s more, every one of our same day delivery gifts are made just for your recipient by our local Spanish florists. 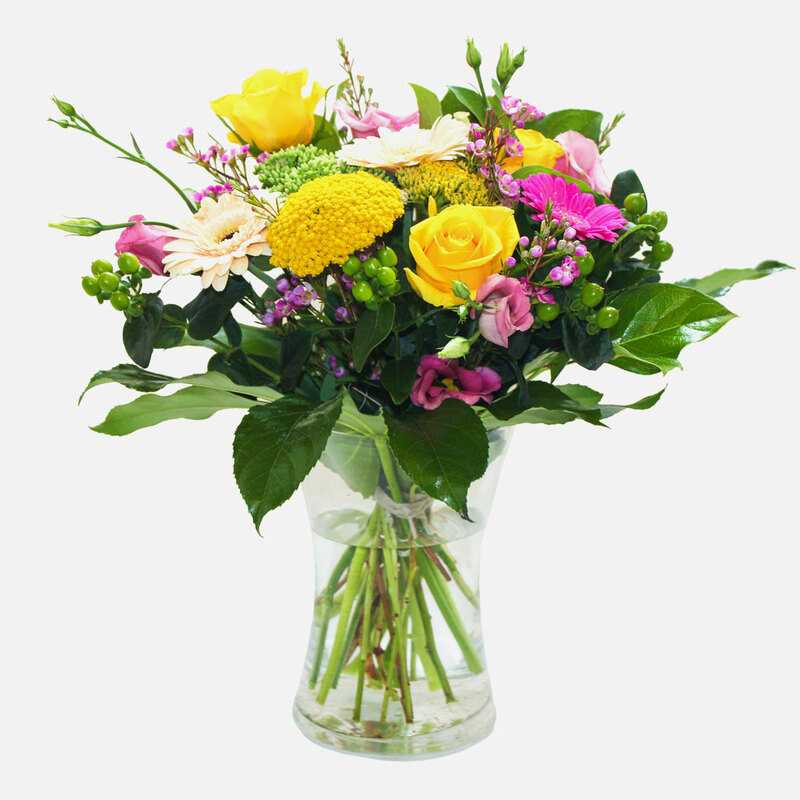 A Beautiful bouquet delivered in a vase in bright vibrant colours its perfect for any occasion. Stunning Aqua box in whites and creams. Suitable for any occasion. Available for same day delivery. 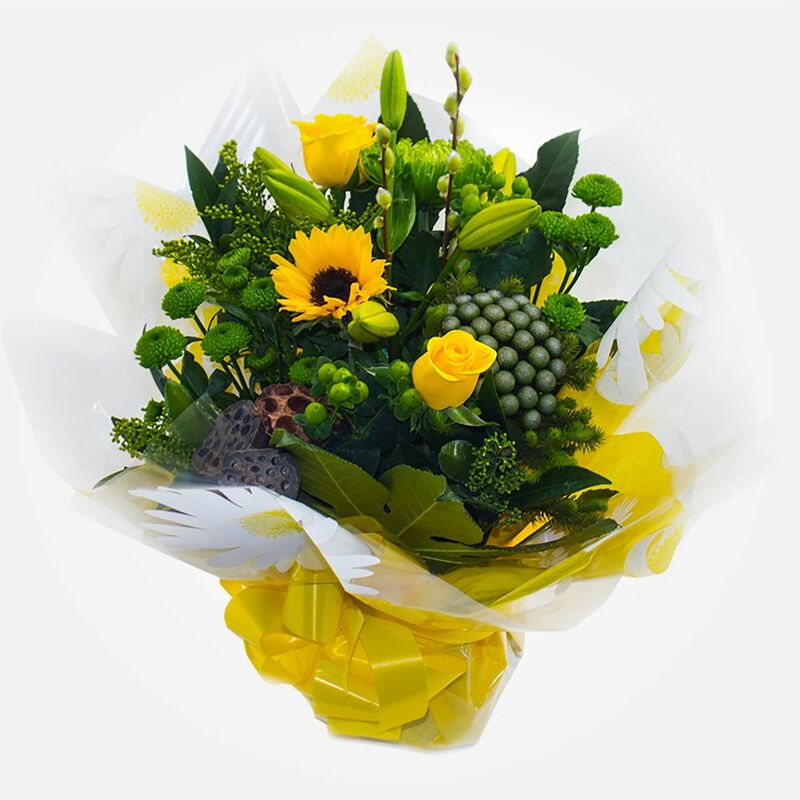 The florist will hand deliver this beautiful bouquet. 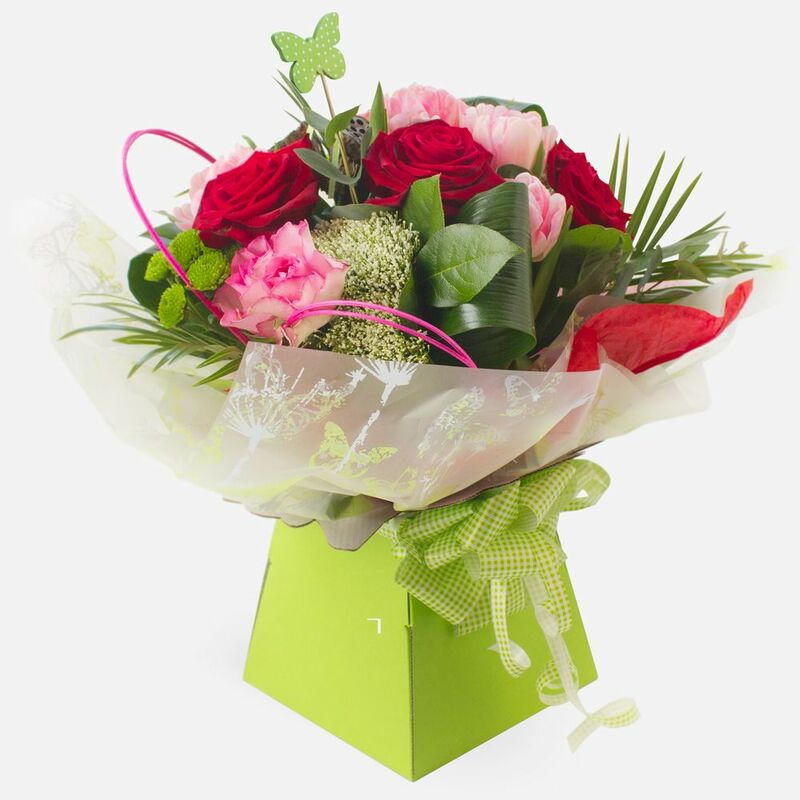 Red roses, pink roses and gorgeous greens make this a splendid hand-tied to send for any occasion. 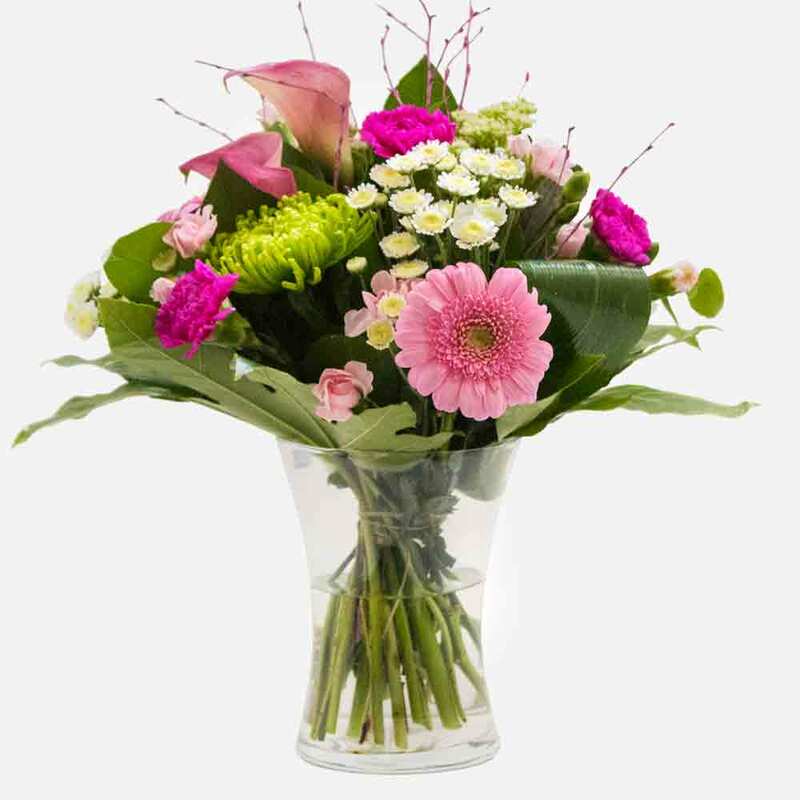 A florist choice mix in pinks, creams and whites, this bouquet is delivered in a easy to keep vase. Vase may vary on availability. 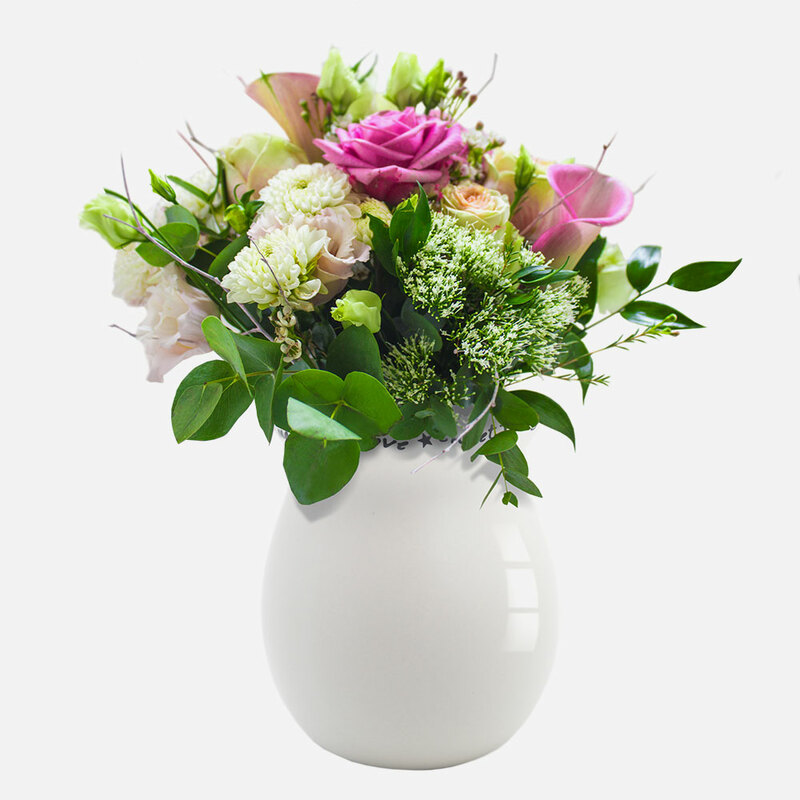 A striking ensemble of a dozen stem roses delivered in a complementary vase. Vase may differ then the one displayed.